Kerry Danelson, PhD, conducts military safety and orthopaedic biomechanical testing to reduce the risk of injury. Through a partnership with the United States Army, she examines impact and blast injuries to improve vehicle design and occupant safety. She also collaborates on biomechanical studies to assess mechanisms of injury and the effectiveness of orthopaedic surgical techniques and devices. Danelson received an undergraduate degree in mechanical engineering from the United States Military Academy at West Point and served in the United States Army, stationed in Fort Hood, Texas for five years, achieving the rank of captain. She then earned her master’s degree and doctorate in biomedical engineering from the Virginia Tech-Wake Forest School of Biomedical Engineering and Sciences at Wake Forest School of Medicine, where she focused on finite element modeling and automotive safety. 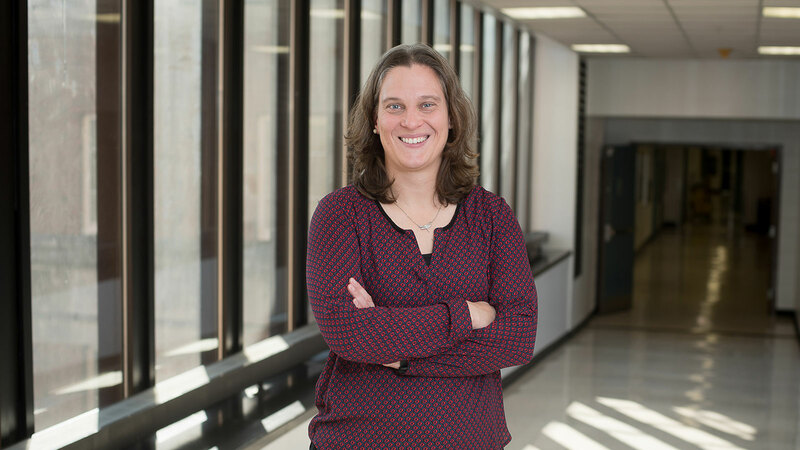 Following her doctorate, Danelson worked on automotive industry and Army-funded research through the Virginia Tech-Wake Forest School of Biomedical Engineering and Sciences. In 2014, she joined Wake Forest School of Medicine’s department of orthopaedics to further study orthopaedic biomechanics and apply finite element modeling to real-world simulations. Through collaboration with the United States Army, Danelson serves as principal investigator on several multi-center studies focused on military vehicle and occupant safety. Using biomechanical testing, she analyzes the impact and injury response of post-mortem human subjects in under-body blast events. She examines the body’s response to blast injuries under military vehicles, with a focus on prevention of bone and soft tissue trauma. In addition to military biomechanics, Danelson leads orthopaedic testing studies to improve surgical techniques for issues such as rotator cuff tears, brachial plexus injury, fractures and upper limb mobility. Using biomechanical measurement, computational modeling and animal microsurgery, she evaluates and predicts the success of instrumentation and surgical methods. She has capability to partner with industry, offering unique expertise in biomechanical testing and assessment, experimental design, and development of injury prediction methods.